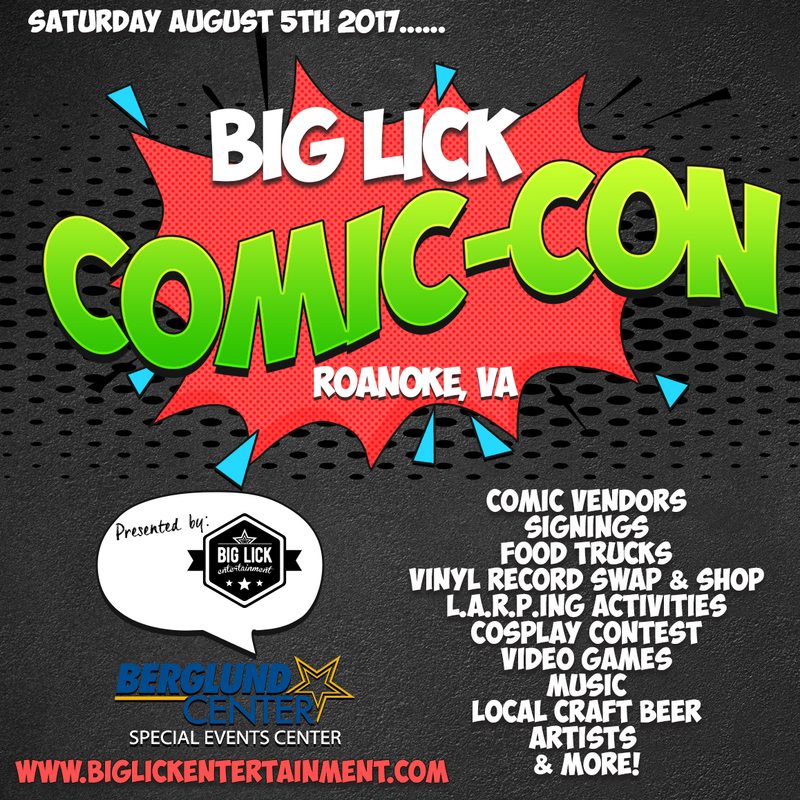 The Big Lick Comic Con – coming August 5th 2017! We are so excited to bring our Big Lick Comic Con to life in 2017! Comics were life changing for me as a kid, getting me into art, which led to music..reading such incredible and inspiring stories, they were an integral part of my childhood and still mean so much to me today. We cannot wait to celebrate this medium and others with you this August at the Berglund Center. Secret Wars Reunion at Big Lick Comic Con Aug 3-4 2019!